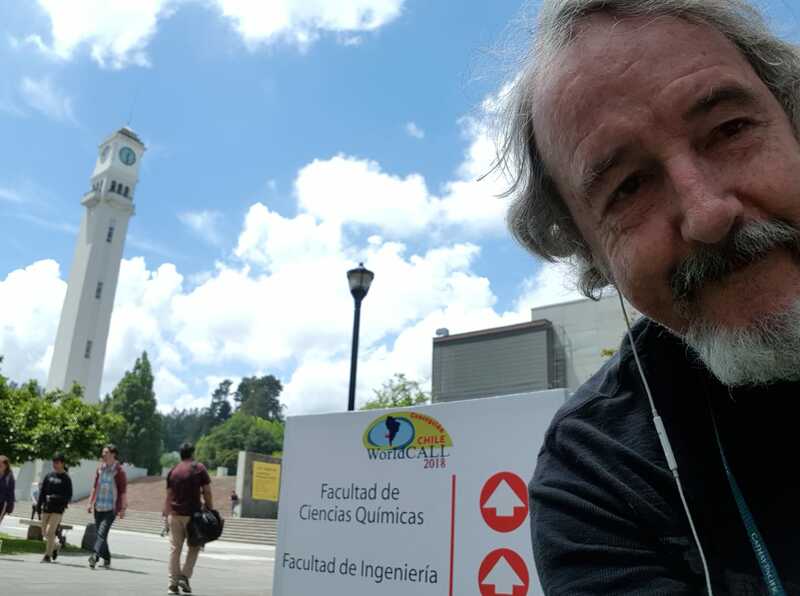 I'm in Concepción, Chile, for my 3rd WorldCALL conference. They happen every five years. I was at the first one in Melbourne, Australia in 1998. I met Jeong Bae Son there and was asked to join him on the executive committee at APACALL (http://www.apacall.org/) shortly after that, and have been active in that organization ever since. I believe JB, as he likes to be called, will be in Concepción this year. I missed the second WorldCALL in Banff in 2003 but went to Fukuoka in 2008. I was not able to attend Glasgow in 2013 but it looks like I'm consistently attending every other one. This one November 13 to 16, 2018, is only the 5th WorldCALL conference ever, http://worldcall5.org/. 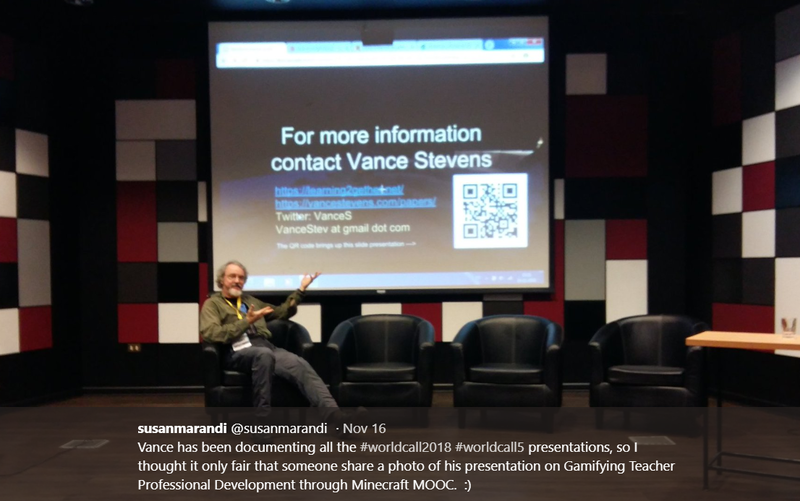 EVO Minecraft MOOC is an ongoing community of practice of language teaching practitioners which invites newcomers to join in every January / February and then continues throughout the year with a dedicated group of teaching peers who have been interacting online in Minecraft for the past 4 years. This presentation explains how the group was formed, how it functions, and what we have learned about gamifying learning by experiencing it ourselves when playing the game Minecraft with one another. More importantly we reflect continually on how this informs our approach to teaching and learning. This presentation shares our insights and perspectives with our audience and invites them to join us online if they wish to learn more about what gamification feels like as a learning experience. We have found that Minecraft is capable of reversing the normal student teacher dichotomy whereby teachers traditionally are assumed to know more than their students. We have found through the experience of participants in our EVO session that that participants tend to take charge of their learning by guiding one another in the vagaries of the game. This presentation explains what teachers (who are learning about the game through the experience of playing it as learners) are learning about designing worlds within the game context that will meet their curriculum objectives and create an engaging and enjoyable experience and task-based environment for learners. But above all, the paper explores how teachers can be made aware of the affordances of Minecraft by creating such spaces for one another and interacting in those spaces. It also serves as an example of how we teachers can use what we have learned through our experience with MOOCs to form communities of practice to reboot our own learning, using the community as curriculum model (Cormier, 2008). 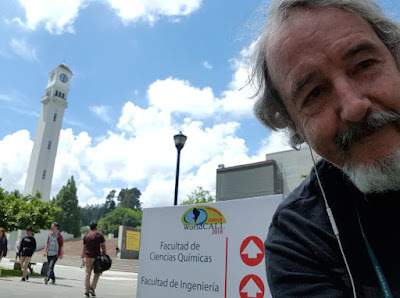 So that is the flipped learning side of my presentation in Concepción. Having done all this preparation, and as the slides are online, I plan to simply talk about them in the 30 minutes I have available to me at WorldCALL. One thing I would like to emphasize in my presentation is something that Yuko Kato, one of my colleagues in the iTDi course, asked me: What is the language purpose of this? This is a question that is quite critical to keep in mind at a WordlCALL conference on computer assisted language learning. I co-wrote an article which might be a good starting point, Smolčec, M., Smolčec, F. and Stevens, V. (2014). Using Minecraft for Learning English. TESL-EJ 18, 2. Available: http://www.tesl-ej.org/wordpress/issues/volume18/ej70/ej70int/. This gives many examples of students using MC to practice and improve learning a FL. 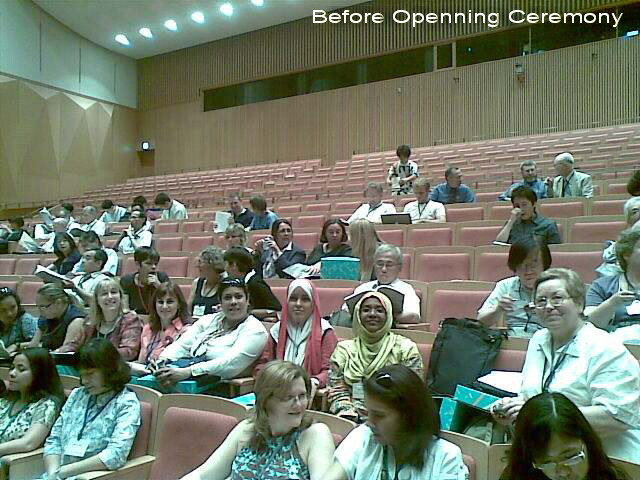 At the August 6-9, 2008 WorldCALL congress in Fukuoka, Japan, http://www.j-let.org/~wcf/modules/tinyd0/, my 45 min. session on Engaging collaborative writing through social networking was listed in the program at http://www.j-let.org/~wcf/docs/Web_20080728.htm in the Aug 6 time slot from 17:25 to 18:10 Tokyo time. Nelba Quintana, a collaborator on the Writingmatrix project I was reporting on, joined me at the podium for the presentation. The presentation is based at http://www.wix.com/vances/worldcall08 (this was my handout; it is still online but requires Flash to be fully appreciated). (you need to have Bb Collaborate installed to view this, but you can still listen to the recording, next bullet). As mentioned, Nelba Quintana, one of the original Writingmatrix teachers, joined me at my session, and Rita Zeinstejer and Sasa Sirk joined in online, as you can hear in the recording. Several Webheads (http://webheads.info) attended this conference. Some are shown in the photo above, taken by Tom Robb (also a Webhead). They might have been about to listen to Vera Menezes give an interesting plenary address on CALL development in the context of chaos theory and how strange attractors create butterfly effects impacting subsequent development of a field like CALL felt all around the world. For example ... imagine huge auditorium, huge screen dwarfing tiny podium with speaker on stage, who clicked on a slide on ... Webheads in Action, and another slide on Writingmatrix. Erika Cruvinel was also mentioned in one of Vera's slides where she talked about Erika's model project sharing with Claudia's class in La Plata. I found this picture at the Webheads Posterous blog which was moved (when Posterous shut down) here http://webheadsinfukuoka.wordpress.com/. Stevens, Vance. (2009 July 15). Engaging Collaborative Writing through Social Networking. In Koyama, Toshiko; Noguchi, Judy; Yoshinari,Yuichiro; and Iwasaki, Akio (Eds.). Proceedings of the WorldCALL 2008 Conference. The Japan Association for Language Education and Technology (LET). ISBN: 978-4-9904807-0-7, http://www.j-let.org/~wcf/proceedings/proceedings.pdf pp.68-71.